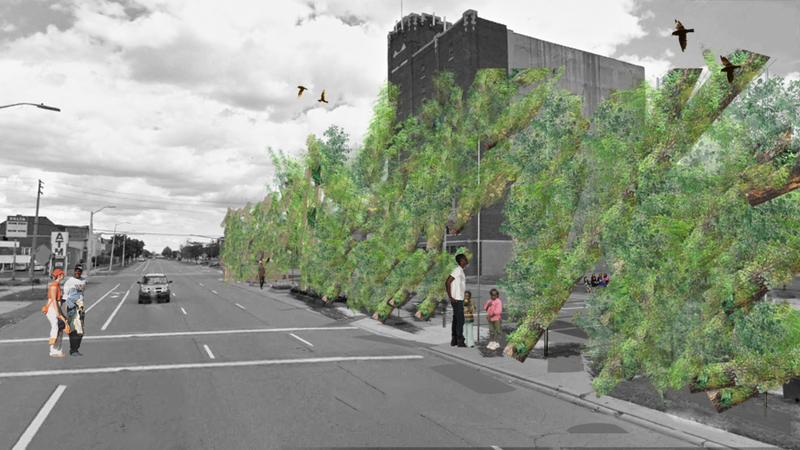 ‘Street Trees’ is a 1-mile sculpture along East Grand Blvd., beginning at the intersection of Woodward Ave. ‘Street Trees’ adapts the everyday landscape to Detroit’s past, present and future. Overhead wood logs host new plant life, and provide shade for people spaces and habitat for avian spaces. 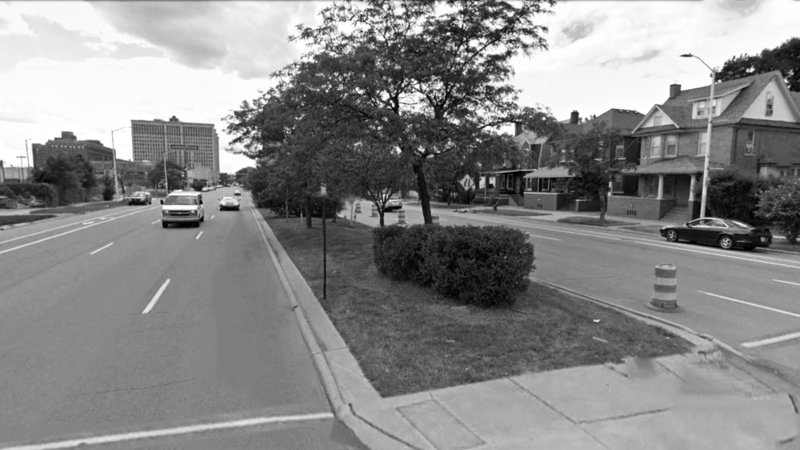 The Pine and Oak tree logs will be seeded or planted by community groups local to Detroit’s North End.